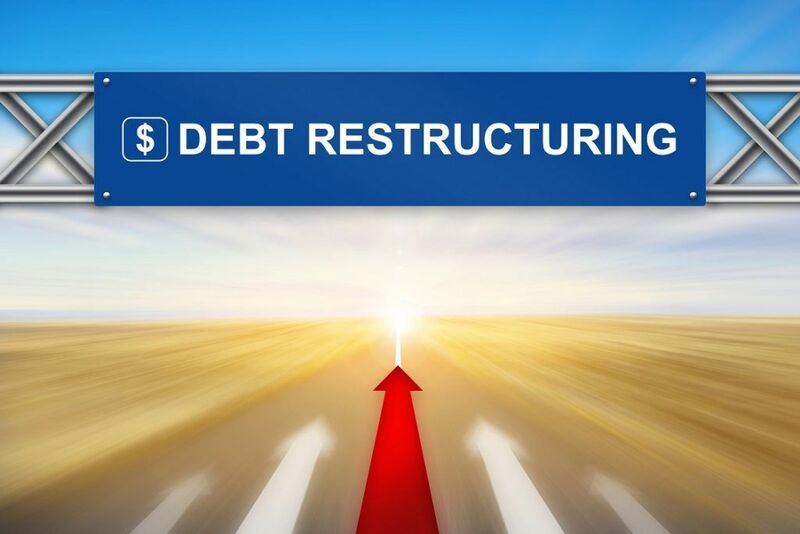 Debt restructuring is the process wherein a company or an entity experiencing financial distress and liquidityLiquidityIn financial markets, liquidity refers to how quickly an investment can be sold without impacting its price. In accounting it means how easily a company can problems can refinance its existing obligations in order to gain more flexibility in the short term. A company that is considering debt restructuring is likely experiencing financial difficulties that cannot be easily resolved. Under such circumstances, the company faces limited options such as restructuring its debts or filing for bankruptcyBankruptcyBankruptcy is the legal status of a human or a non-human entity (a firm or a government agency) that is unable to repay its outstanding debts to creditors. Generally, it is initiated by the debtor and imposed by a court. Restructuring existing debts is more efficient and cost-effective in the long term than filing for bankruptcy. Under such circumstances, the debtors would agree to forgo a certain amount of outstanding debt in exchange for equity in the company. It usually happens in the case of companies with a large asset and liabilities base, where forcing bankruptcy creates little value for the creditors. It is deemed beneficial to let the company operate as a going concernGoing ConcernThe going concern principle assumes that any organization will continue to operate its business for the foreseeable future. The principle purports that every decision in the company is taken with the same objective of running the business rather than of liquidating it. and then allow the creditors to be involved in its operations. It can mean that the original shareholder base will now own a significantly diluted or even a diminished stake in the company. Companies with outstanding bonds can negotiate with its bondholders to offer repayment at a “discounted” agreement; it can be achieved by reducing or omitting interest or principal paymentsPrincipal PaymentA principal payment is a payment towards the total principal amount of a loan that is owed. In other words, a principal payment is a payment made on a loan that reduces the remaining loan amount due..
Companies that are restructuring debt can ask for lenient repayment terms and even ask to write off some portions of debt. It can be done by reaching out to the creditors directly and negotiating the terms of repayment. It is a more affordable method than involving a third-party mediator and can be achieved if both parties involved are keen to reach a feasible agreement. Debt restructuring usually involves direct negotiations between a company and its creditors. The restructuring can be initiated by the company or, in some cases, be enforced by the creditors. On the other hand, bankruptcy is essentially a process through which a company that is facing financial difficulty is able to defer payments to creditors through a legally enforced pause. After declaring bankruptcy, the company in question will work its creditors and the court to come up with a repayment plan. In case the company is not able to honor the terms of the repayment plan, it must liquidate itself in order to repay its creditors. The repayment terms herein are decided by the court. Debt restructuring is distinct from debt refinancing. The former requires debt reduction and an extension to the repayments. On the other hand, debt refinancing is merely the replacement of an old debt with a newer debt, usually with slightly different terms.